R 100: We are stripping a Ford Fiesta for parts please call us at Randfontein Auto Spares on 011 692 1660 or 011 692 1015 for assistance or email anytime. R 100: We are stripping a Ford Telstar 2L V6 for parts please call us at Randfontein Auto Spares on 011 692 1660 or 011 692 1015 for assistance or email anytime. R 1,500: Nearly new Thule ProRide 591 Bike Roof Rack. R 100: We are stripping a Opel Astra Classic for parts please call us at Randfontein Auto Spares on 011 692 1660 or 011 692 1015 for assistance or email anytime. R 100: We are stripping a Vw Jetta 5 for parts please call us at Randfontein Auto Spares on 011 692 1660 or 011 692 1015 for assistance or email anytime. R 100: We are stripping a Hyundai Accent 150i for parts please call us at Randfontein Auto Spares on 011 692 1660 or 011 692 1015 for assistance or email anytime. 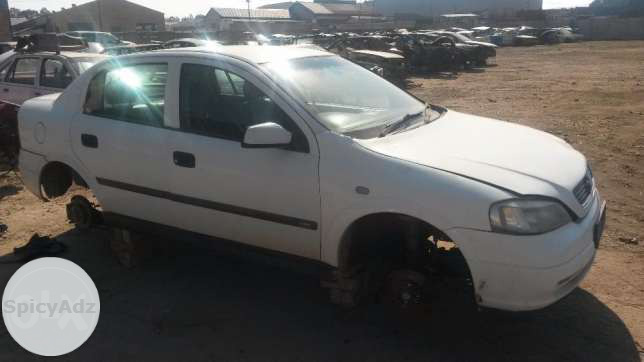 R 100: We are stripping a Tata Indica Lsi for parts please call us at Randfontein Auto Spares on 011 692 1660 or 011 692 1015 for assistance or email anytime. R 500: A neat Mazda drifter double cab tonneau cover with a centre bow priced to sell at R500. The cover is for the drifter and not the drifterX. Call 079 924 1513 No electronic transfers.